Earthquakes are caused by rocks and plates in the earth shifting underneath the surface, and they can be small and harmless or large and devastating. Unfortunately they are completely unpredictable, giving no warning of when one will happen or how big it will be. Because they are so unpredictable, and because they can have such devastating consequences, it is important to be prepared for all circumstances. Here are some tips to help you prepare for an earthquake. One of the most important steps in preparing for an earthquake is purchasing or preparing an emergency kit. It’s impossible to know how much damage an earthquake will cause when it hits, and you may need to go without basic amenities, such as water and electricity, for several days. 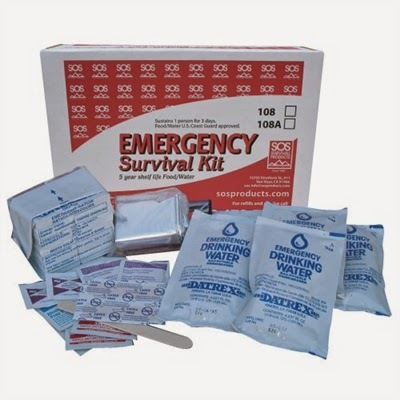 Emergency kits should have enough supplies for several days for each person. Water and food are absolute necessities, and you can purchase water bottles or pouches and nonperishable food items or food bars for your kit. A small first aid kit is also a necessity, including bandages, gauze, antiseptics and antibiotics, and OTC pain killers. Include a flashlight and extra batteries as well in case power is knocked out or if an earthquake hits at night. Blankets, rain gear, and extra shoes and socks are also good to have if you have the room to include them. Keep your emergency kit someplace easily accessible so you can get to it when you need it. Locate safe spots to take cover during an earthquake. This may be under heavy, secure furniture or against an inside wall with nothing hanging on it. Make sure your children and anybody you live with know these safe spots and understand to take cover under them in the event of an earthquake. Practice drills are a good way to help kids understand what to do in an earthquake, especially if one occurs when they are home alone. It is important to fasten heavy shelves, art, and other décor to the wall and away from places where people sit, such as beds or couches. Fastening them will make them less likely to fall down in the event of an earthquake, and will keep people from getting hurt by heavy falling objects. You may also think about strapping down heavy furniture such as desks and tables, and especially secure the furniture you plan to take cover under during an earthquake. One often-overlooked earthquake preparedness step is securing heavy appliances such as refrigerators, water heaters, and gas appliances. 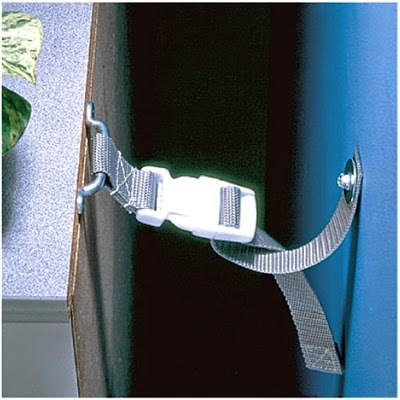 Secure these items to studs in the wall to keep them at their most secure. These items can be harmful if not secured, and could fall on people or other pieces of furniture, causing injury and further damage. An unsecured gas appliance may end up doing more harm than the earthquake itself, so it is smart to know how to turn off gas valves in your home in case one of these items is damaged. Keep heavy items lower to the floor. Don’t put heavy décor, file cabinets, or safes on upper shelves or anywhere they could fall down. These items could do a lot of damage in an earthquake, and will seriously hurt or even kill somebody who was underneath when the earthquake hit. 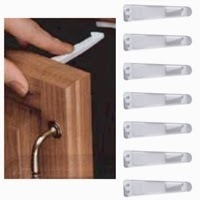 Securing cabinets shut will help minimize damage and items that need to be replaced after the earthquake. While you may not want to secure all of your cabinets, make sure you secure those with heavy items, tools, and flammable and chemical products such as pesticides, weed killers, and aerosol containers. These items bring the most risk of injury and damage, so keep them secured as a precaution. If you own your home, make sure the foundation is sturdy and anchored. If you do see any structural damage, consult a professional to ensure it is safe and to fix it if it is not. While this may seem like an unnecessary expense, you’ll be happy you took the precaution when an earthquake does hit and your home is secure and undamaged when it otherwise wouldn’t have been. Earthquakes are unpredictable and, while they can be minor, they can also be very harmful. It is important to be prepared for all situations so that, when an earthquake does hit, you and your family are as safe as possible. Prepare a survival kit (and don’t forget to pack for your pet if you have one! ), make sure your home itself is anchored into an undamaged foundation, secure heavy appliances, furniture, and décor, and know where the safest spots in your home are. These tips are some of the best ways to prepare yourself and your loved ones for an earthquake, and will help you get through any situation an earthquake may bring about.